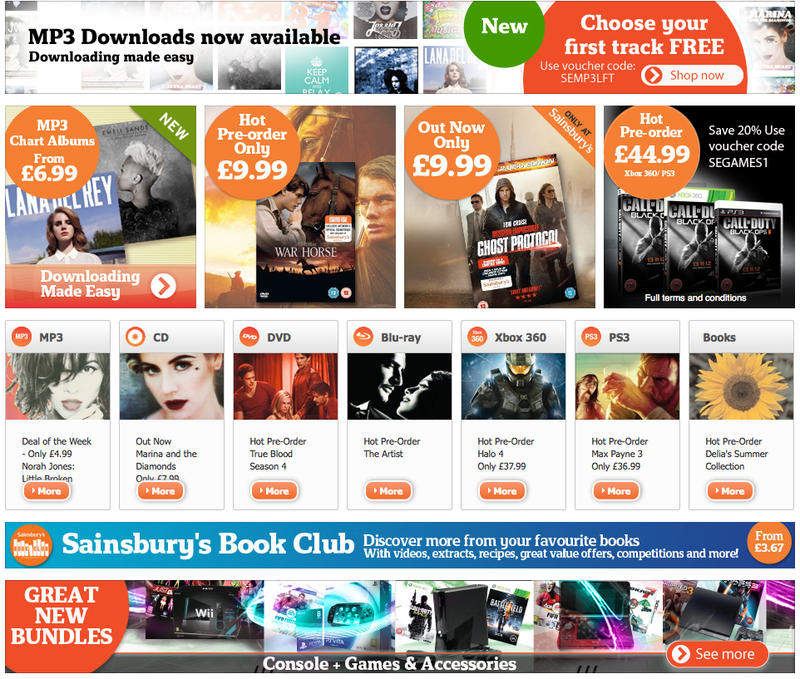 Sainsbury's Entertainment To Rival Apple iTunes? Sainsbury’s To Rival Apple iTunes? by Mark — in In The News....Leave a Comment on Sainsbury’s To Rival Apple iTunes? The might be one of the lesser talked about supermarkets in the UK but that’s not stopped them launching their own download service. Designed to rival iTunes, Sainsbury’s Entertainment, offers consumers 2.3m songs to download, including singles and entire albums. Where this service aims to be different to iTunes is that every purchase will earn Nectar points. Another feature is pre release price matching. So if you order a pre release via Sainsbury’s and you then find it cheaper on release date they will price match. Pricing seems reasonable enough with tracks starting at 89p, chart albums will cost £6.99 each and ‘Deal of the Week’ albums will be available at £4.99. Customers are being offered their first individual track download for free until May 6.